This third edition of Selling 101 is drawn from the selling skills training courses and sales training how-to books the author developed for top marketing organizations. Ideal for sales meetings and continuing OJT, as well as for sales training retreats. Or for those selling consulting services or free-agent assignments. Selling101 is a sales training book designed to provide practical sales how-to guidance on the kind of sales and selling skills useful for sales people looking for fresh ideas and the kind of selling techniques how-to training provided in the sales training centers of top sales and marketing organizations. 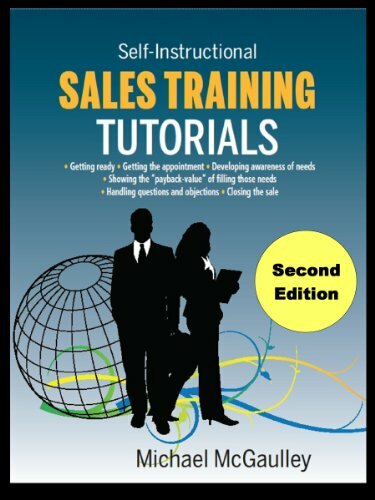 Selling face-to-face is a main focus of this sales training book. Ideal basis for sales team meetings and manager-trainee 1-on-1 sales coaching. 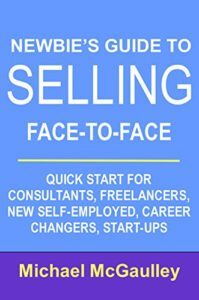 Selling 101 also provides the practical sales how-to guidance needed as more and more people are setting up new businesses, or shifting to self-employment as consultants, free agents, free lancers, and new entrepreneurs. Among the topics covered in this sales book: Sales prospecting and screening for viable prospects. Getting past gatekeepers and screens. Phone sales skills to intrigue prospects into granting appointments. Making face to face sales calls. Using a consultative selling approach to build the prospect’s awareness of needs, then making the case for the value your product or service provides. Short model sales scripts to model on. Handling sales objections and questions. Closing the sale. Following up after the sale. 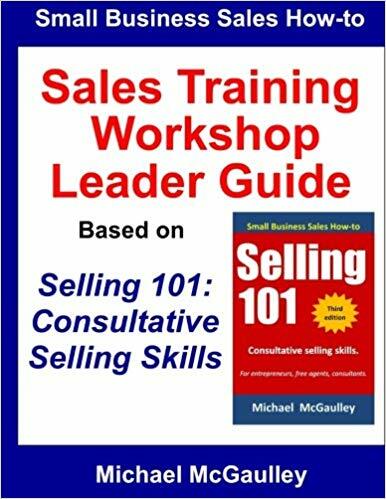 This Leader Guide coordinates with Selling 101: Consultative Selling Skills, and is designed for the sales manager or instructor of a new business skills workshop. 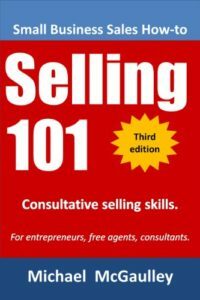 The 14 Modules in the Guide coordinate with the chapters in Selling 101, linking to specific pages for ease in linking across. A chart at the start of each Module provides a succinct overview of what that module is about, suggested time to allow, as well as materials and set-up. The content within the modules guide the instructor or leader tasks through clearly-marked sections, such as Overview And Set Context, Lead Discussion, Explain, Pair Trainees For One-On-One Role Plays, Conduct Whole-Group Debriefing, And Wrap-Up And Overview The Next Module. Pre-Class Assignments for each module are provided, which the workshop leader can copy and pass out in advance. These guide the trainee on the reading assignment (chapters or sections from Selling 101), as well as other preparation, such as discussions and role-play exercises. 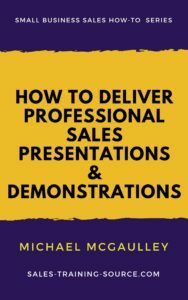 is a concise, to-the-point, information-rich sales training book particularly directed to the needs of people who are new to selling . . . people such as new small business owners, consultants, free-agents, free-lancers and self-employeds who will benefit from better selling skills. It’s set up around 25 practical sales skills tutorials that guide through all the steps from getting started with an idea (for a product or service), through finding prospects, making sales calls, handling sales objections and questions, closing the sale, and following up. Each tutorial contains practical sales how-to tips, including checklists, and model selling scripts. 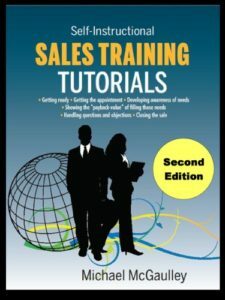 SALES TRAINING TUTORIALS is mainly intended for individuals who are starting up new ventures – or starting over after a career change – and need to quickly absorb practical sales techniques needed for sales success. It can be used as the basis for hands-on new entrepreneur sales training programs in community colleges or job creation centers. 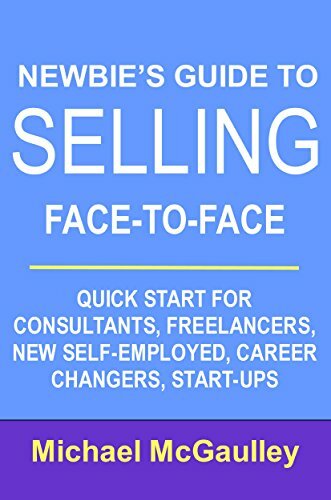 is a short, to-the-point handbook focusing on the need-to-know for people getting started in the process of finding prospects and making face-to-face sales calls. It’s especially targeted to the needs of career-changers and people going off on their own, or looking for a new job or a new field— such as consultants, free-agents, or independent contractors. –Starting questions for testing the viability of the product or service you will offer, and defining your core selling messages. –Finding your way to the person who has budget and authority to say yes to what you offer. –Getting past the Screen or Gatekeeper. –Telephone sales tips both with the Screen and Prospect. –Consultative selling: asking savvy questions to help the Prospect recognize whether needs exist for your product or service, as well as the value of buying it to fill those needs. –Linking the needs uncovered with the specific ways in which what you offer will fill those needs– both cost-effectively, and better than competing methods. –Dealing with the issue of price by focusing on value. –Being attuned to “buying signals,” both verbal and non-verbal. –Converting questions and objections into additional reasons for buying. 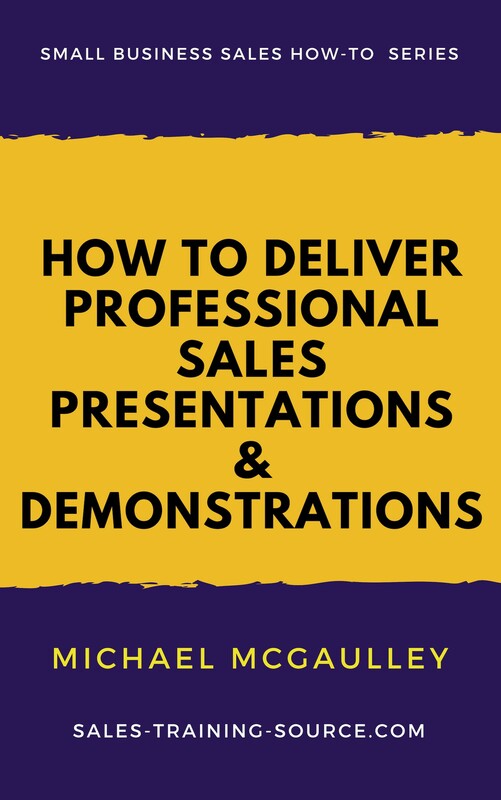 covers the practical how-to of preparing, setting up, and then presenting or demonstrating in front of the prospect. Part two addresses the actual delivery of the presentations or demonstration, working through six key phases from opening to handling questions and objections to closing for the order or other action. Part three, focusing on communications on multiple levels, covers the crucial issue of reading and sending the appropriate non-verbal messages, including positioning yourself and subtly moving the prospect. It also puts into context the overall purpose of demonstrations, presentations, proposals, free-trials, discounts and other special deals:that is, to serve as “proof sources,” given for a specific, defined purpose that should be agreed-upon in advance with the prospective buyer. 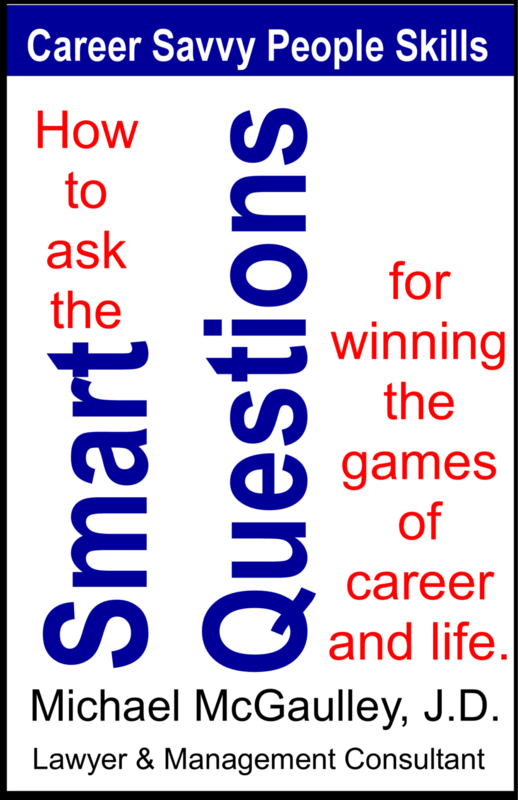 How to ask the SMART QUESTIONS for winning the games of career and life. Ever feel that you’re being moved as a pawn in the games others are playing around you? Ever get the sense that you’re not winning– maybe not even aware of — the subtle games of business and life going on around you . . . let alone the tricky games of career success and office politics? The fact is that games, probes, and subtle competitions–and not to forget office politics!–are facts of life in most organizations. These are the kind of covert career games that the opposing players don’t tell us are in play, nor what the rules are, nor even what “winning” consists of. But if the other players don’t tell us what the rules of success are in these career games, nor even put a name to them, then how do we survive and win these games? How do we develop key career development skills? How? By making a habit of asking the right savvy, smart questions. What are those “smart questions”? 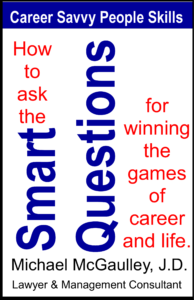 What are the savvy questions that will boost your career and provide the help you keep your focus when you encounter games, probes, ploys and manipulations? Think of it as a checklist of the kind of smart,savvy questions that guide you to career success fleshed out with mini-case studies, lots of examples, and additional questions useful in getting perspective and drilling in for more detail. 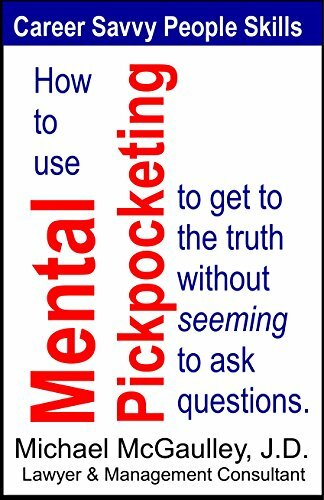 How to use MENTAL PICKPOCKETING to get to the truth without seeming to ask questions. Knowledge is power . . . particularly in organizations and teams where your success depends in large part on career-savvy subtle communication skills and other people skills at work—particularly your ability to ferret out semi-hidden information, and to discern the deeper reality behind situations and events taking place around you. It’s easy enough to ask questions, and most of the time most of the people will do their best to share the truth. But not always. Sometimes, if you play it straight and ask direct questions, you won’t get straight answers, and you won’t get to the truth—instead, you’ll get distortion, “spin” and responses that are somewhat less than the whole truth. Sometimes simply to ask a question is to give the game away because it alerts the other person to what you’re really after, and hence flags what they may want to fudge, avoid, or distort. In those situations, how do you get information—and get the truth–without flagging what you’re really after? 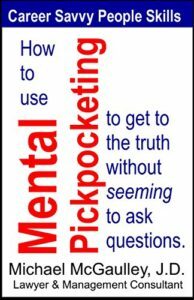 By employing mental pickpocketing— the art and science of asking questions without seeming to ask, or without seeming to ask what you’re really after. In this book, written by a lawyer and management consultant, you will learn . . .
•A variety of ways of “listening” with your eyes.